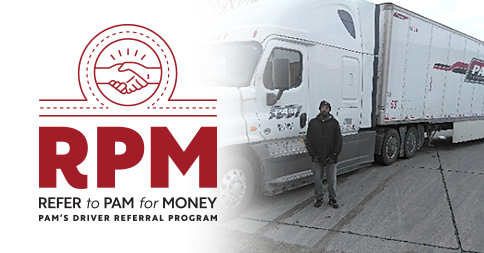 The PAM RPM Driver Referral Program is a great way for PAM drivers to earn extra money. 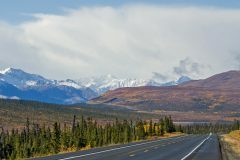 Bonuses for successful driver referrals range from $1,000 to $1,800 per hired driver. To top it off, the PAM RPM seasonal driver referral contests give drivers the opportunity to win a $2,500 prize on top of the regular referral bonuses. Each driver who makes a referral while a contest is running is automatically entered to win, with the winner chosen at random at the end of the contest. In 2018, PAM drivers made enough referrals for a collective total of $197,600 in bonuses. While everyone who received a bonus check can be considered a winner, here are the drivers who walked away with the $2,500 prizes. The 2018 PAM RPM Spring Referral Contest winner was PAM Transport Company Driver John Frakes, who drives the Laredo, Texas – Detroit, Michigan dedicated route. 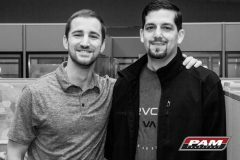 Including the $2,500 contest prize, John won a total of $4,300, which he donated to his friend to help cover his daughter’s medical expenses. 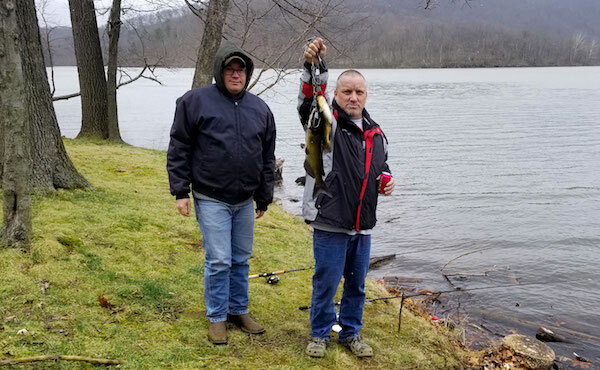 Here’s a photo of John (right) enjoying some cold-weather fishing with a friend at Raystown Lake in Huntington County, Pennsylvania — a perfect way to celebrate! The 2018 PAM RPM Summer Referral Contest winner was PAM Transport Company Driver Adam Allen of Flat Rock, Michigan. Adam works the night shift in PAM’s Chrysler division and gets home daily. He enjoys spending time with his wife and kids on his days off. Including the $2,500 contest prize, Adam won a total of $4,300, which he’s using to plan something fun with his family. Adam said working at PAM is the best job he’s ever had and that he plans to retire with the company. 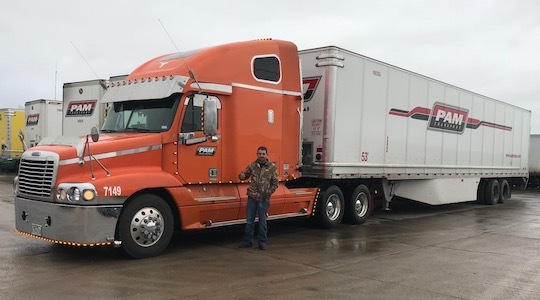 The 2018 PAM RPM Fall Referral Contest winner was PAM Transport Owner Operator David Moncivais of Laredo, Texas. 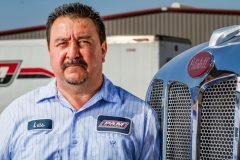 David drives the Rheem dedicated lane from Laredo, Texas – Lewisville, Texas and gets home to his wife and three kids in Laredo every other day. Including the $2,500 contest prize, David won a total of $4,500, which he’ll use to take his family on vacation. David said he loves working at PAM because he gets home often and is making great money. The 2018 PAM RPM Winter Referral Contest winner was Lease-Purchase Owner Operator Marquis White, who proudly drives a 2019 Freightliner Cascadia thanks to the PAM Lease Program. Marquis runs the Auburn, Indiana – Wentzville, Missouri dedicated lane and gets home every week. Marquis joined PAM when he learned the company leases brand-new trucks for no money down. He’s enjoying the experience so much, he submitted his buddy as a Company Driver referral. Including the $2,500 contest prize, Marquis won a total of $4,300. Thanks so much to all the PAM drivers who have shared their enthusiasm for PAM by making driver referrals! We’re always glad to welcome new faces to our fleet and are more than happy to issue nice bonus checks to show our appreciation for the references. If you’re a PAM driver, make sure to take advantage of this program, especially when seasonal driver referral contests are running. 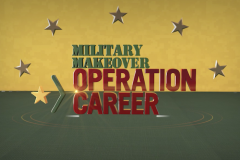 Check out www.pamrpm.com to learn more about how the program works and where the current contest stands. With four seasonal contests running per year, your chances of winning that extra $2,500 are pretty good if you choose to enter!